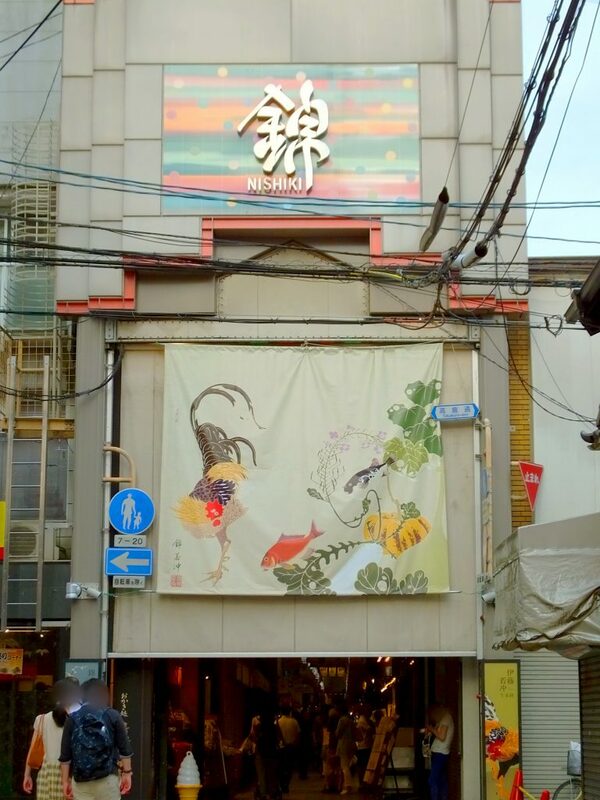 In July, I went to Nishiki Market, which is popularly known as “The Kitchen of Kyoto.” Look at the entrance. It’s very narrow, though it’s long actually. The colorful pattern on the ceiling is eye-catching. 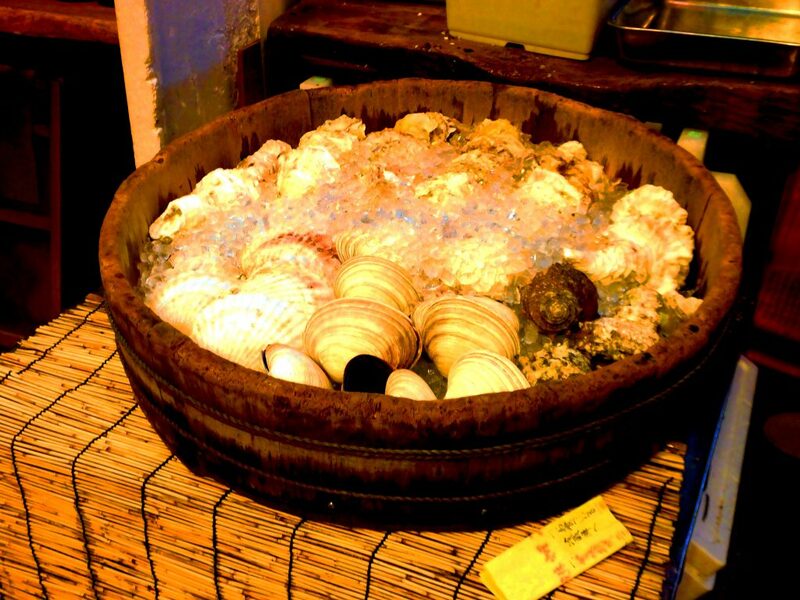 On that day, I found shells and ice in a wooden tub, which made me feel refreshed. 400 years ago, people kept food cold with groundwater. 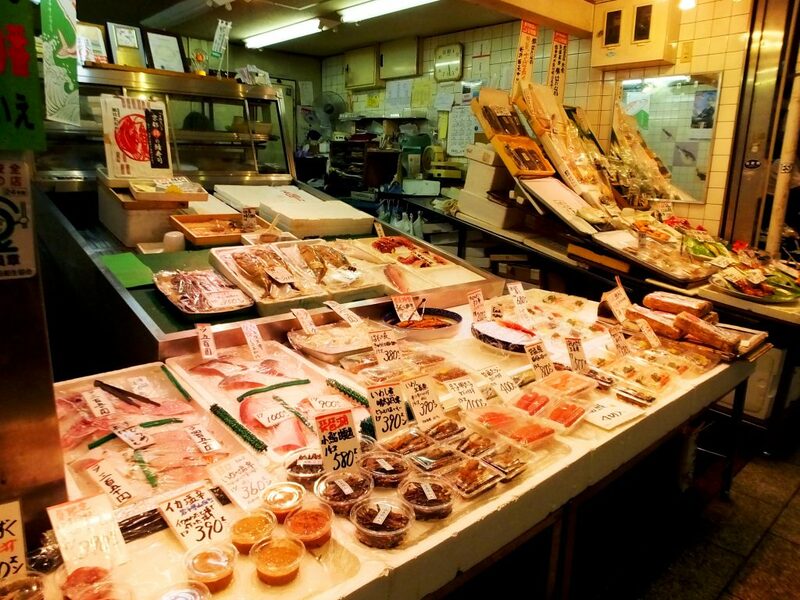 Nishiki Market began as a fish market because the area was abundant in groundwater. Now there are 126 various shops, so I’m pretty sure you enjoy shopping here, even if you don’t like fish so much. There are not only shops and stores, but also restaurants and cafes. You may see fake food samples, too. 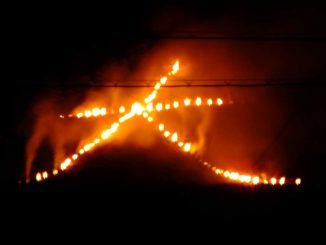 Look at the picture. 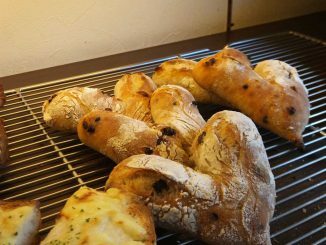 They look like real food, don’t they? The very thin noodles are called somen in Japanese. We have them especially in the summer. They are good even when you don’t have much appetite. 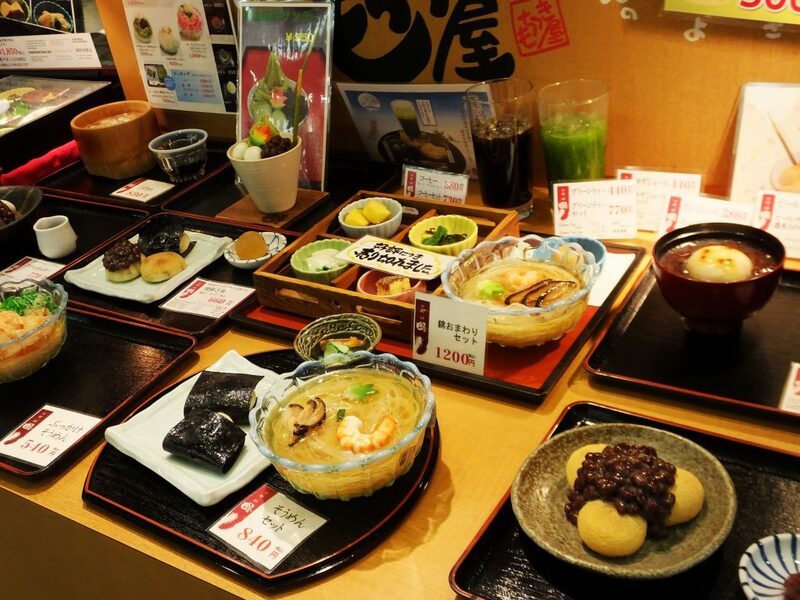 Actually, however, they recommend Japanese rice cakes served with them. In the next picture, you can see shaved ice. The white dumplings on them are shiratama, which go well with shaved ice. They have no flavor, but you can enjoy the chewy feeling. 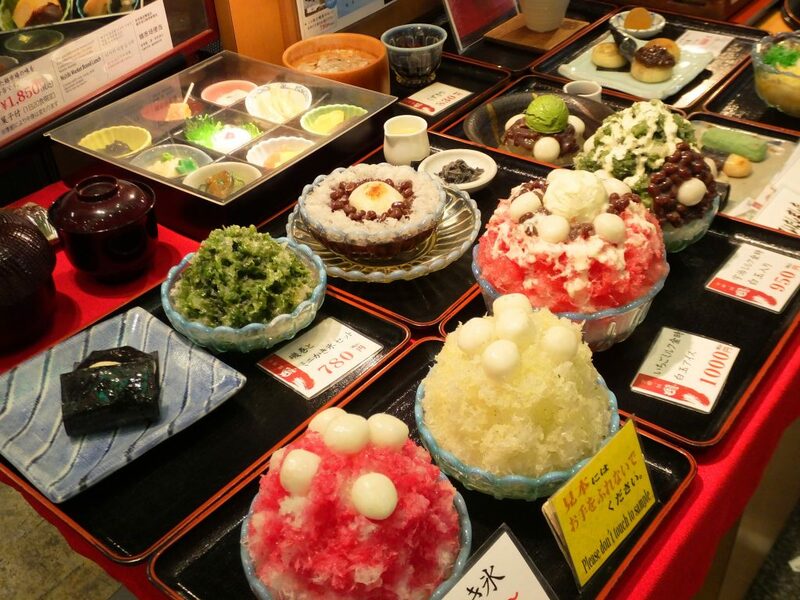 Also, Japanese red beans, Adzuki are on some of the shaved ice. They are so sweet and rich in taste. The picture below is more colorful, but these sweets are real, not fake. 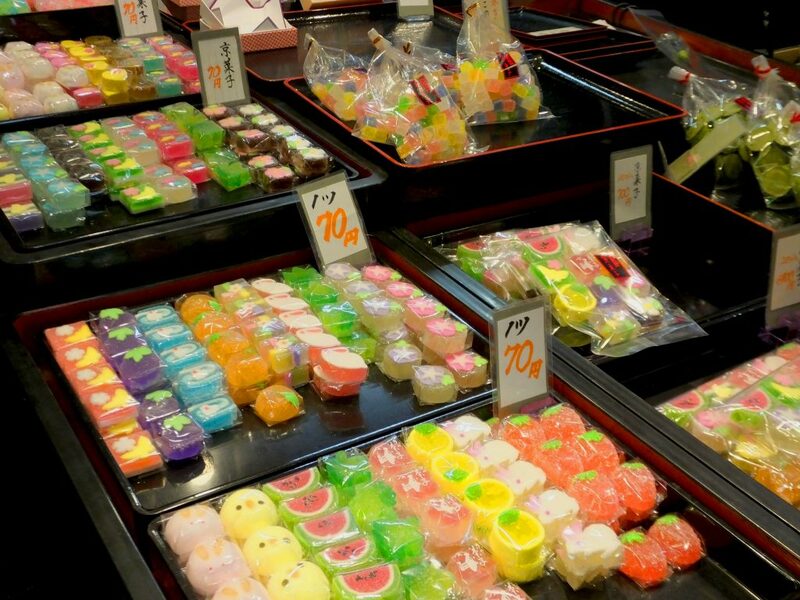 In Japan, you can find many beautiful sweets that make you feel the season. Feast your eyes before your mouth! These are what we call obanzai. 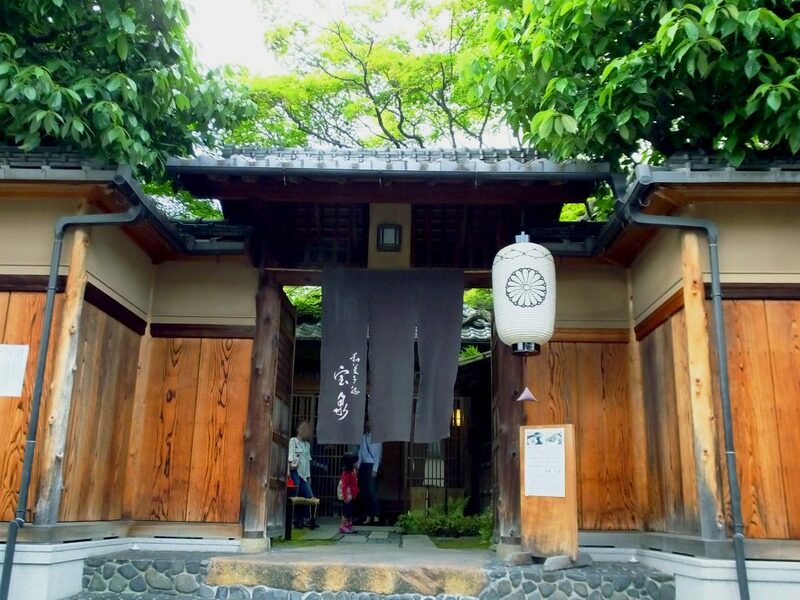 Obanzai is a generic term for traditional home-made dishes in Kyoto, and originally it was simple food cooked and served only at home. These days, however, it’s also sold at such stores and served at restaurants. By the way, have you heard of tsukemono? 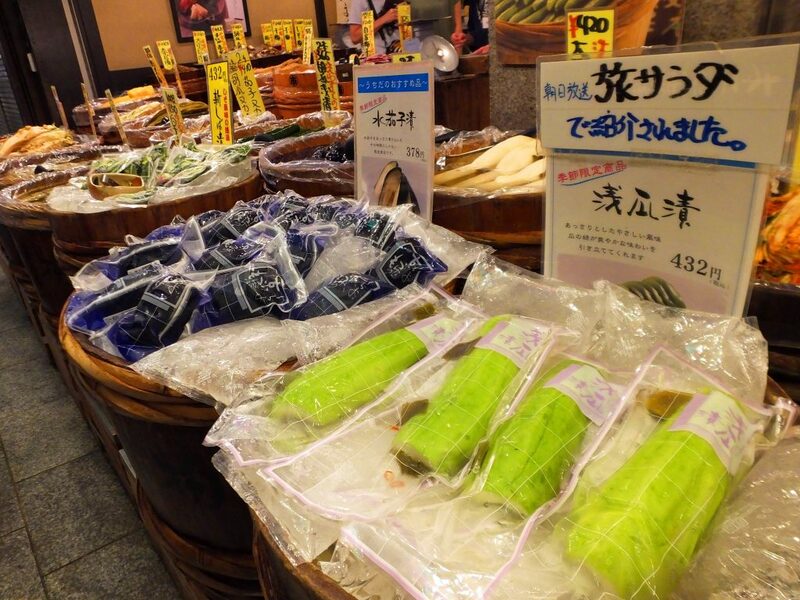 They are Japanese preserved vegetables, usually served with steamed rice. 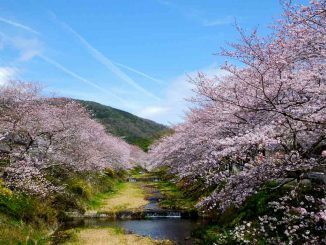 Here you can see various kinds of tsukemono. Differenttsukemono have different colors, flavors and smells. Taste some, and find out your favorite! 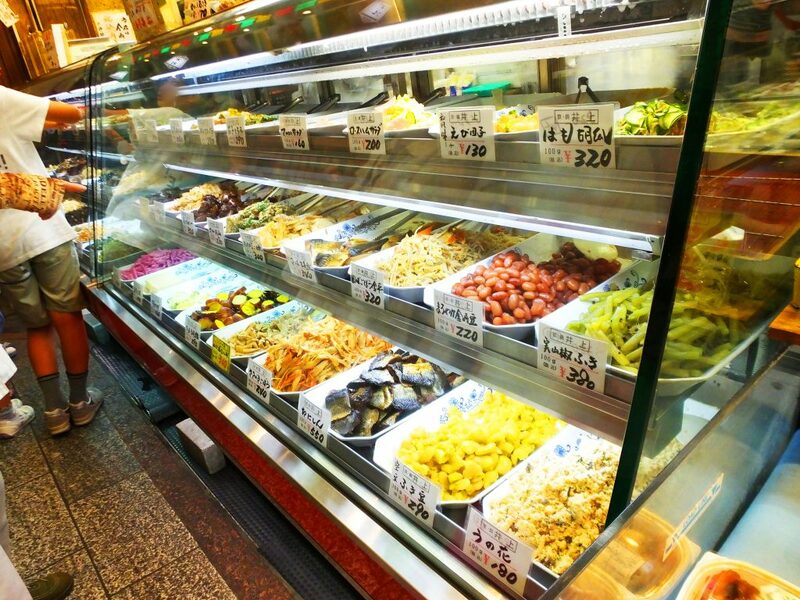 As well as prepared food, they have ingredients for cooking, like raw fish and fish roes. Their quality is so high that even famous chefs in Kyoto sometimes come to buy them. 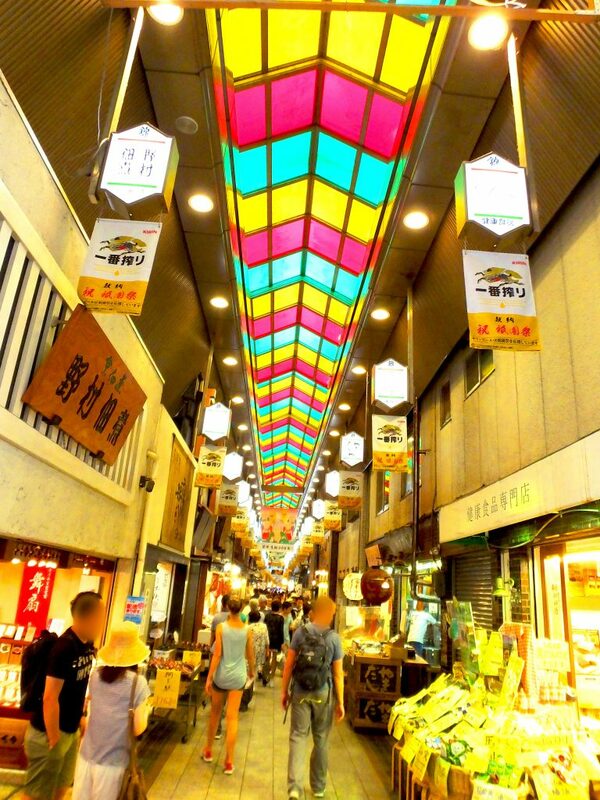 Nishiki Market is located between Takakura Street and Teramachi Street in Kyoto City. It’s one block north of Shijo Street.